Open the window containing the control. Left-click to select the control. 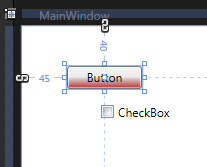 Now make sure that the Properties icon on the Properties panel at the right side of the IDE is selected. With the Properties icon selected, you can see all of the properties of the control that you selected, organized into logical groups. 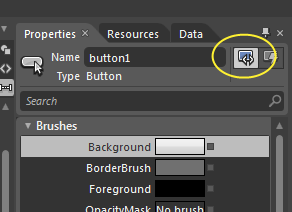 You can view or edit the control’s properties from this panel. 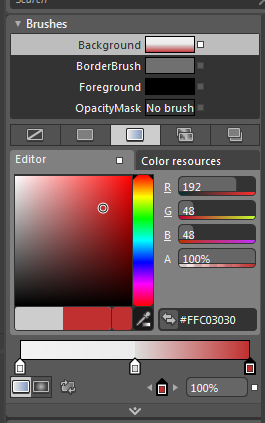 For example, to change the button’s Background property, you can use the color editor in the Brushes section. By default, Blend will create a background that is a gradient, rather than a solid color. As you change the color in this editor, the button’s color will change in the designer. 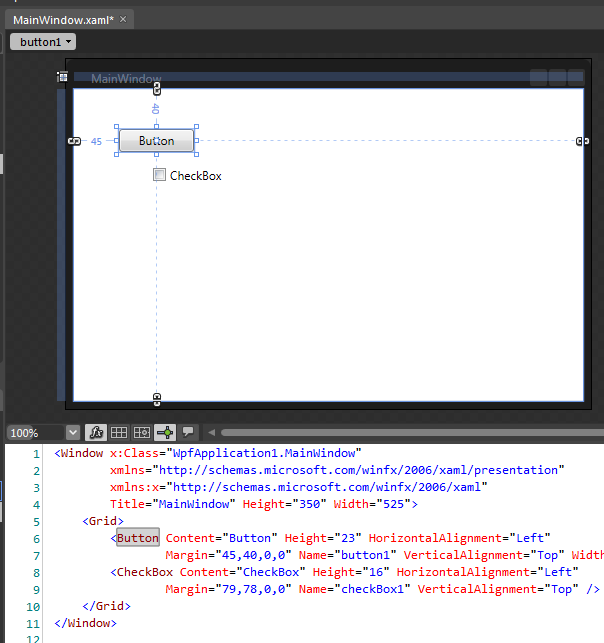 You can also see the updated XAML, showing the linear gradient.